The Science Geek Clock is proven to be a scientifically cool time-display device! This clock shows scientific formulas and equations in place of the normal numerals. 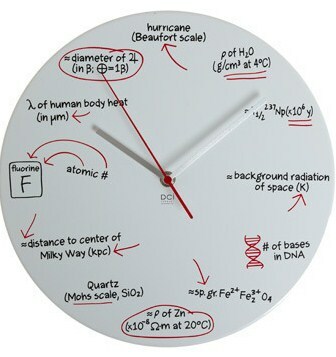 This fun clock makes a great gift for the geeks and science nerds out there. Click here to see larger image.